Math Central: Welcome to my blog!! Well, it has been a very interesting school year so far. The start of the Common Core Curriculum, APPR, and Hurricane Sandy. I still cannot believe it is the end of December already. It seems like the first few months of school flashed by before my eyes--almost like an out of body experience. Hurricane Sandy destroyed most of my area including schools. I was one of the lucky ones, but many of my friends and co-workers lost their homes, cars and schools. Some of the students in my area had to combine into one elementary school where there were 50 students per class and a few teachers. Talk about a difficult situation, but they survived and are now back home in their own elementary schools. The high school in the area has major structural issues and students have to be bused to another town where the district is renting two empty elementary schools until the high school is ready. Electric is back almost everywhere and people are starting to re-build, but so many people will not be able to go home for months. APPR is another interesting new feature this school year. I received my first official rating, have a ton of new paper work, and began creating my big binder of evidence. I would love to share ideas and thoughts on the binder. 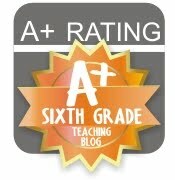 The Common Core Curriculum has been an exciting new approach to 6th grade math. I am really enjoying the slow down to the math curriculum. The past 6 years the curriculum has been jam packed with a new topic every day. This Common Core Curriculum allows us as teachers the time to explore and develop mathematical concepts. Hope it stays that way--you know what I mean! I am looking forward to developing relationships via this blog with other teachers so we can share our thoughts and ideas. I have already found some great activities on some of the blogs I am currently following for my math classroom. 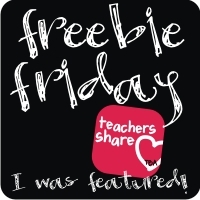 Follow me and I will share ideas, thoughts, activities, lessons, printables, white board activities, power points, and many other resources. I'm so sorry to hear about all the damage from Sandy. It's one thing to see it on the news, but another to actually hear the realities from fellow teachers. Hang in there!! I found you through the 2013 Linky Party! Thank you so much! It was really hard to see my friends and neighbors with the contents of their home all over their lawns due to flooding. I am so glad you found me and look forward to hearing from you again. I am going to check out your blog today. I just found you through the 2013 Linky. Our school district experienced a tornado last year and although it wasn't near as bad as Hurricane Sandy, a teacher on my team lost her home. I hope your school family is able to recover this year. Thank you so much! A tornado must be really scary. All of my school family will recover in time, but it will be a longer process for some. One of the teachers I work with is living with a friend, her daughter is living with one of her friends close to her school, and her dog at another home. I hope her home is livable soon. APPR stands for Annual Professional Performance Review-our evaluation system in New York State. 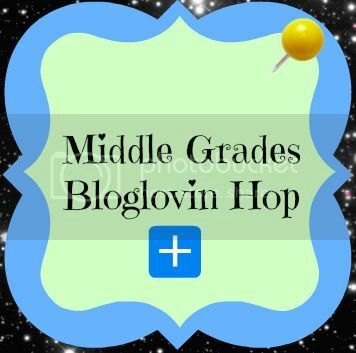 I found you on "Making it as a Middle School Teacher's" 2013 Linky. I am excited to be your newest follower! I can't imagine what you've been through this year. I live in Texas and our area was hit pretty bad by Ike in 2008. I am terrified of Hurricanes! I'm glad to hear things are getting better. I'm a math lover, too, and look forward to sharing ideas! Thank you for following my blog. I was so excited to have more followers and comments this morning. I am terrified of Hurricanes now too!! After the storm the reality of living on an Island hit me in the face. We were so cut off from the rest of the world. 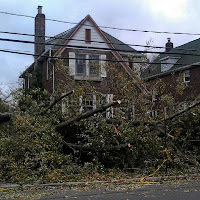 Trains were not running, bridges closed, no power, no gas, no way off the island. If another hurricane comes I am leaving the island before the storm. I can't imagine what's it like to go through something like that as a community. I'm glad to see things might getting getting closer to normal for you. 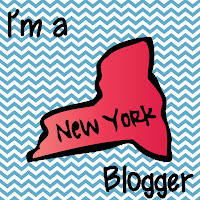 I found your blog through the Year In Preview linky party...Happy New Year! I am so glad you found my blog. I was excited to have followers this morning. I am going to check out your blog today.